Miss Green field Nigeria 2017. Venue: SOTEL HOTEL. Divine Estate Ago bridge, mama J bustop Ago palace road. Amuwo odofin Lagos. 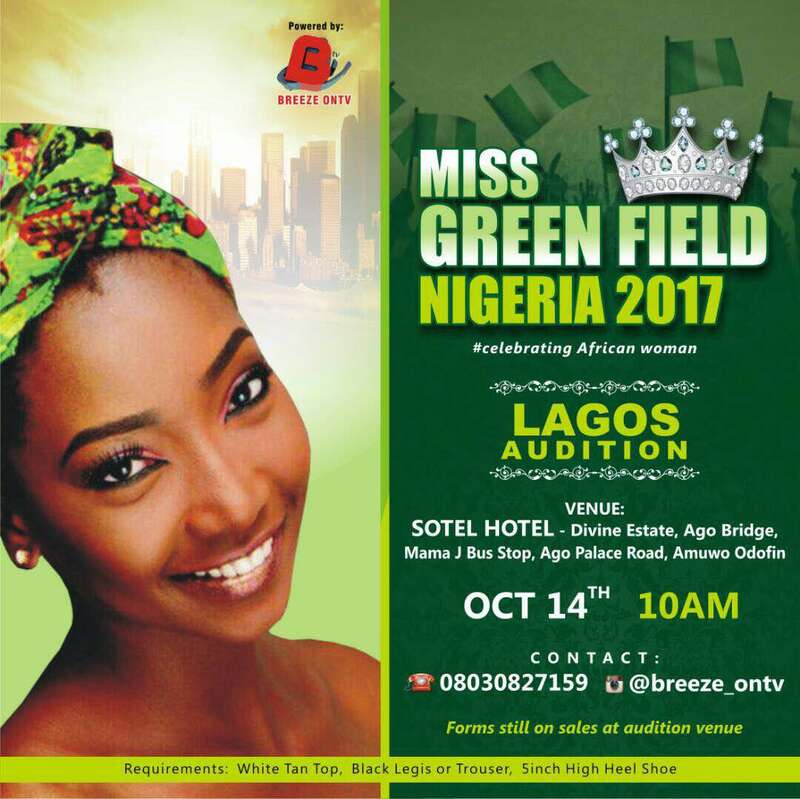 All contestants should come with white tan top and black legis or trouser with a 5inch high heel. Form will also be on sold at the Audition venue.